The Samford men’s and women’s basketball teams both saw their seasons come to an end in their respective conference tournaments, which were played March 7-11 at the U.S Cellular Center in Asheville, North Carolina. Coach Scott Padgett’s team made it to the second round before being knocked out by no. 2 seeded UNCG. 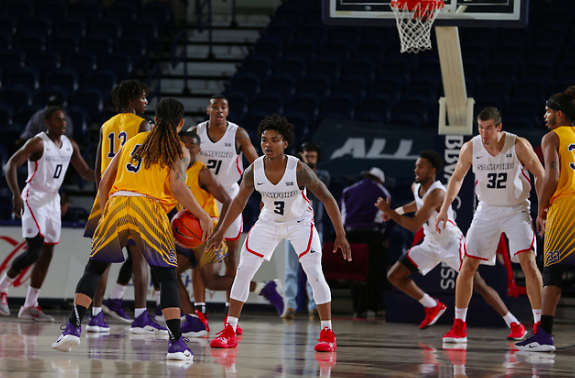 In the Bulldogs’ first game, a well-rounded offensive performance along with a strong defensive showing led Samford to a 100-71 victory over the Citadel. The game was tight early, with Samford eventually pulling away toward the end of the first half to extend the lead. For the Bulldogs, junior guard Brandon Austin led all scorers with 26 and added seven rebounds and two assists. Austin shot 8 of 16 from the floor, including 6 of 12 from beyond the 3 point line. Junior Josh Sharkey added 16 points, eight assists, three rebounds, and was a perfect 8-8 from the free-throw line. Junior Myron Gordon, senior Ruben Guerrero, and freshman Robert Allen all scored in double-digits for Samford. In their quarterfinal game, Samford came out strong in the first half, building a 13 point lead by halftime. However, a strong second half from the Spartans, including a 13-0 run with around five minutes left in the game, proved too much as Samford would lose the game by a score of 70-77. Robert Allen led the Bulldogs in scoring with 18 points while adding four rebounds, one assist, and one steal. Ruben Guerrero had a strong performance in his last game as a Bulldog, putting up 16 points, 12 rebounds, one assist and and one block. The Bulldogs were plagued by 4 of 21 shooting from the three-point line as well as a slow second half offensively. Samford finished with a record of 17-16 (6-12 SoCon) on the season, marking the second time in three years that the team has finished with a winning record. There were definitely many positive takeaways from the season, and the returning personnel the team will bring back next year should prove to have a good deal of experience and chemistry. The Samford women’s basketball team lost to Furman in the quarterfinals by a score of 52-67 to end their season. A strong first quarter followed up by a late surge late in the game was not enough to push the Bulldogs through to the next round. Junior Paige Serup and sophomore Shauntai Battle both had impressive days across the stat sheet as well. Serup added six points, four rebounds, and four assists, while Battle scored nine points to go with four rebounds. With the loss, the Bulldogs finished with a overall record of 10-20 (5-9 SoCon). Coach Mike Morris announced earlier this week that he will be stepping down and retiring after being at Samford University for 25 years and with the women’s basketball team for 17 years. 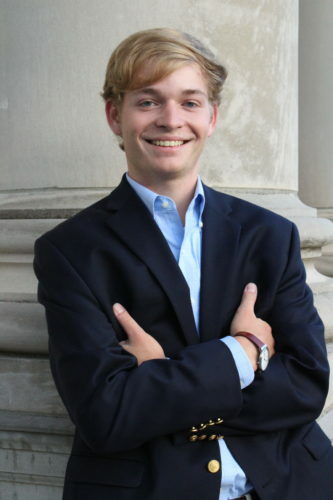 In his time at Samford he was able to win two Atlantic Sun Conference championships and lead the Bulldogs to two NCAA tournament appearances. He has also lead the Bulldogs to seven 20-win seasons.